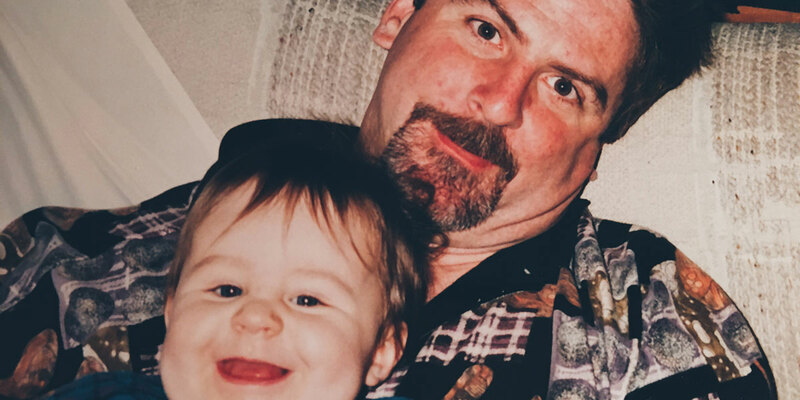 It’s been more than two years since my father passed away after a nine-month battle with brain cancer, and to say I learned a lot during that time would be an understatement. But, even more than those nine months, the time afterward has proved to be full of learning and growth. I am not the same woman I was nearly three years ago, and looking back reminds me of the new perspective on life that the Lord has granted me. We hear it all the time, but it could not be more true. Do away with the grudges. The little things in life can make a big impact, but when it’s small, let it go. Remember: Loving people is much more important than being right or sticking it to the man. Sometimes, life does not turn out the way we dreamed it to be when we were young. I dreamed of my dad sitting in the stands at my college graduation. I dreamed of my dad walking me down the aisle. I dreamed of my dad holding my children. But, sometimes those dreams do not come true. Learning to be content in the sovereignty of the Lord is difficult in pain. I say this not to be morbid or depressing, but to remind myself that the Lord is sovereign whether our lives pan out the way we dreamed, or not. The comfort in that fact is that though our lives are ever-changing, He never changes. Though, because of sin, our lives take turns for the worse, the Lord’s unfailing love and kindness promises to carry us through the worst of times. The Lord promises to sustain. He does not promise a picture-perfect life. He promises that if we cast our burden on Him, we will be sustained. We live in a culture that encourages the puffery of egos and self-glorification. But, our God promises that His name will be made known when we are weak. It is not perfection He desires, it’s broken devotion. It’s broken devotion through our weaknesses, insults, hardships, persecutions and calamities. Even though life feels like we are stuck in the mud and may never get out, there is growth in persevering through the mud in our life. Sometimes, the temptation to give up will feel so strong it seems hard to press on. When you love someone, tell them. We live in a generation that tiptoes around the seemingly scary four-letter-word. We live in a generation so afraid of overusing the word that they refrain from saying it at all. What I have learned is that, when you love someone, tell them: tell them tomorrow, tell them today and tell them within the hour. There will come a day where you may wish you could tell someone that you love them, but cannot anymore. You never know when your last “normal” day with someone may be, so take every advantage to love on people with all you have. It’s not a promise of an easy life, it’s a promise of a sustained, strengthened life because of Christ. During my time at MBU, I experienced the toughest season of my life. But, through the pain, I have grown in my faith leaps and bounds. Through that season of my life, the community at MBU has been unlike any other. The day my father passed away, I received a notebook filled with encouraging notes, letters from my friends, faculty and staff and strangers who I have never met. I still have the notebook and read it to this day. It is a reminder of community — it is a reminder to me of the church. It is a reminder that when I feel alone, I never am. It is a reminder of the truth of the Gospel when lies fill my brain. The community of MBU is unlike any other. And, though my time here is over, MBU will always feel like home.